Join hosts Tony Simeone and Jon Cotton of Fighting Irish Media as they take listeners on an insider tour of the projects and personalities behind Fighting Irish Media and the Notre Dame Athletics Department. In this episode Jon and Tony chat with Sports Illustrated Producer/Showrunner and Notre Dame grad, Jessica Smetana! In less than three years since graduating, Jess has carved out an impressive career. The group discusses her work with FIM and how it prepared her for to succeed professionally. Later, they talk about her twitter prowess and her famous exchange with Carrie Underwood. They wrap by discussing what goes into producing her shows with Sports Illustrated TV and how she has seen Notre Dame football evolve since she graduated. This is an ALL TIMER! Make sure to check out Jessica's MVP podcast HERE! 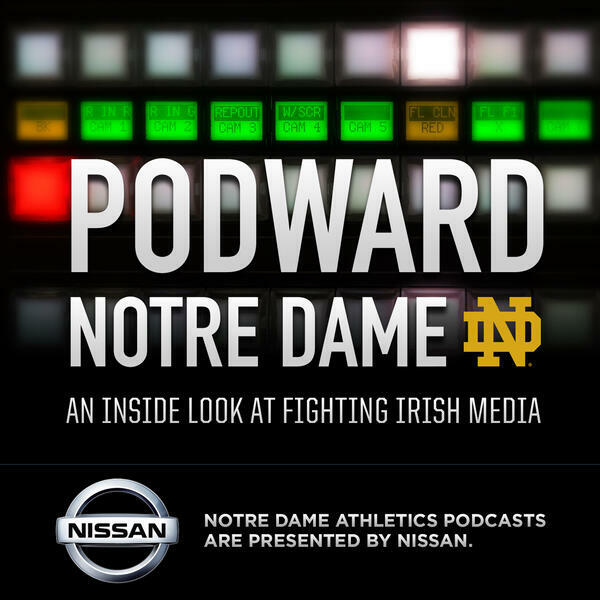 Subscribe to Podward Notre Damehere!